The Numen/For Use (previously here and here) guys are at it again. Known for their fun, playful, interactive structures, the Croatian-Austrian collective has recently gone inflatable. 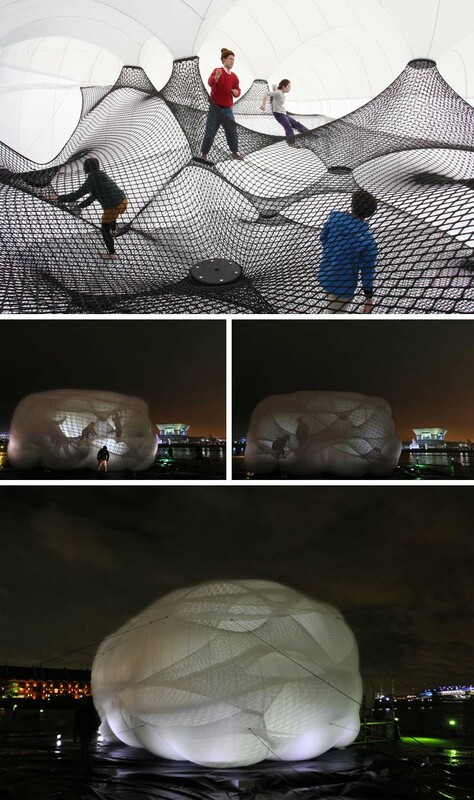 Their latest installation in Yokohama (home of the also fun CupNoodles Museum) looks like a carnival Moonwalk gone wild. 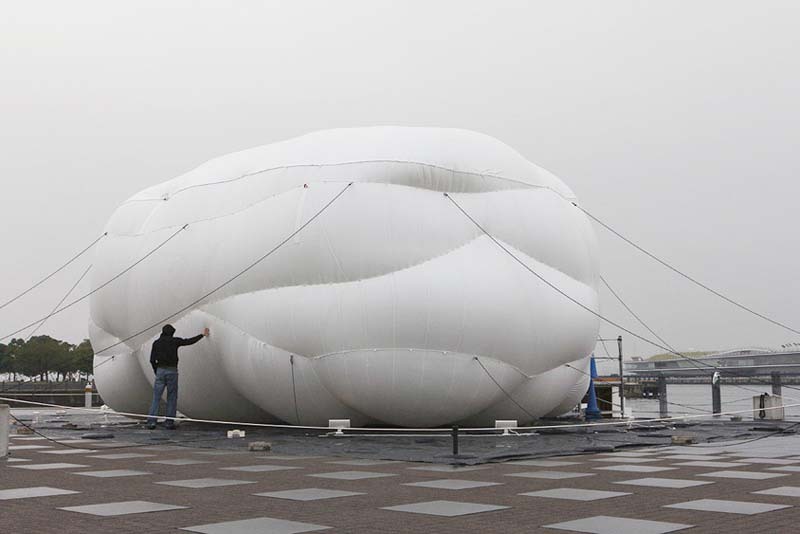 The stylized cloud-like object has nets inside connected to its inner lining that expand and become taut as the blob is blown up. The exterior membrane is sheer enough that when lit from within, it acts as a projection screen for the activity inside. 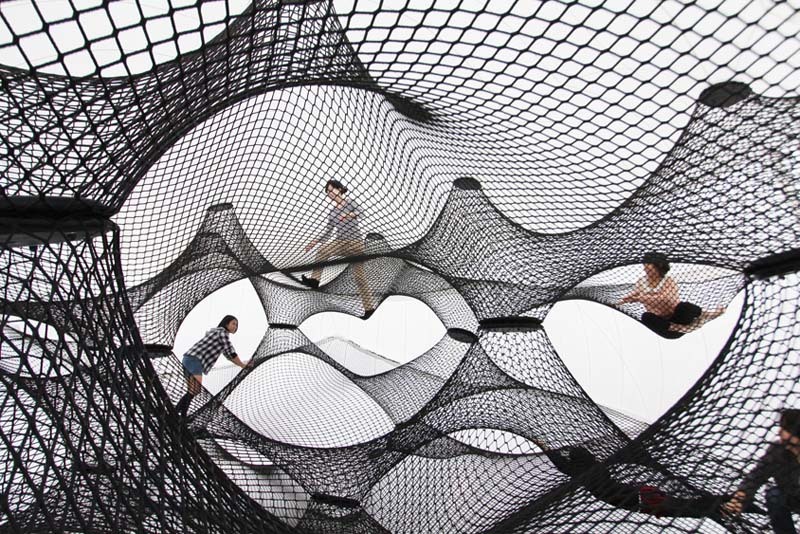 The nets provide climbing and tumbling surfaces on multiple levels. Looks like a blast. This entry was posted in Architecture, Fun, Industrial Design, Interaction Design, Just Plain Cool, Stuff We Like. Bookmark the permalink.